Fabric: 50% Linen, 50% Cotton. One Size Fits UK 8 to 16. Spring, summer and beyond; make way for the new Made in Italy Port Charlotte Dress. 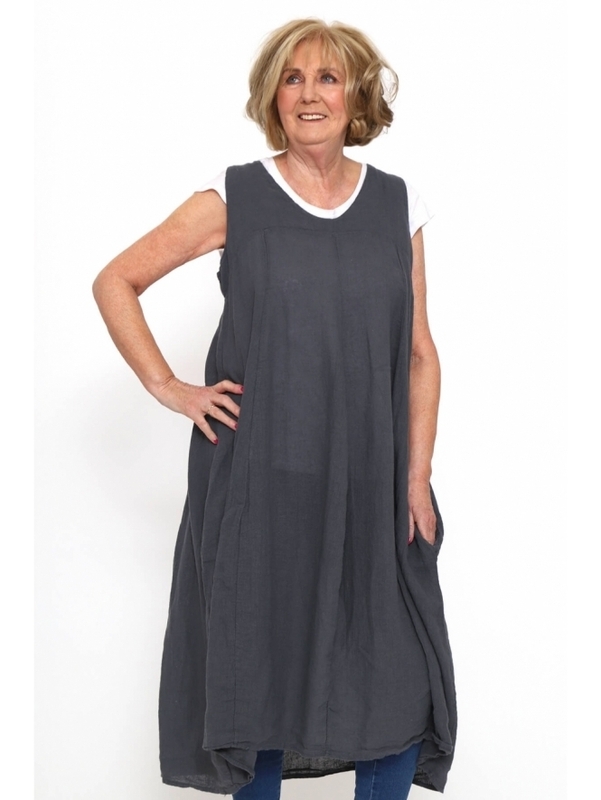 This sleeveless style features a curved V-neckline and panel detailing to the upper half allowing the dress to hang perfectly, making for a very flattering fit! Finished with two hidden pockets either side, this style would be perfect to slip on when you hit the beach or pair with sandals and some jewellery to take you from day to night!